You won’t need lots of kitchen gadgets, hours in front of the stove, or a loan to make these recipes—they are all easy and cheap and designed to satisfy. Start with Kitchen Know-how: which essentials to stock up on so that you always have the foundation of a simple meal; tips on key equipment to buy; simple rules of food hygiene; and no-fuss tips for throwing together ingredients no matter how little is lurking in your kitchen. 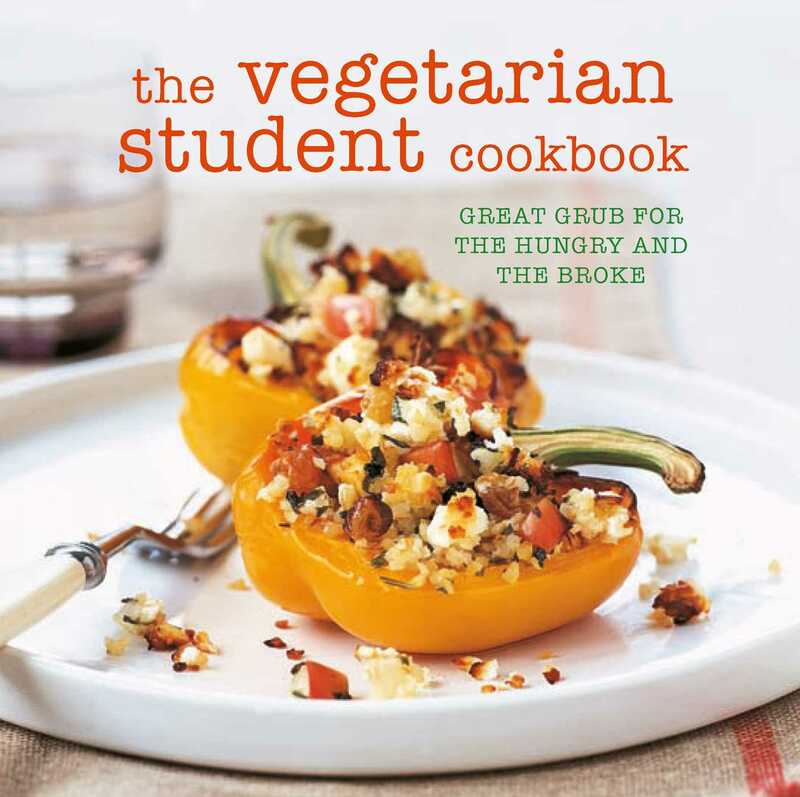 When you’re having a late-night essay crisis and you turn to the refrigerator for salvation, The Vegetarian Student Cookbook will come to the rescue with quick, stress-free Light Bites & Sides. Chapters on Salads, Pasta, Light Entrées, and Easy Entrées include everything you could possibly want in your repertoire: mac ’n’ cheese, omelets, stir-fries, vegetables bakes, risottos, and lots more. Master the recipes in Food to Impress and you’re sure to win friends. Finally, when there’s no candy in the house and you need to satisfy a sweet craving, turn to Just Desserts and indulge in chocolate-dipped fruit and baked apples and pears.